I'm a PADI scuba diving instructor, freelance website developer, aspiring writer, and rum enthusiast running away from the American Dream on paradise islands around the world. I love my life! Elephant Breeding Center in Sauraha, Nepal from thescubageek on Vimeo. What’s the best way to beat the jungle heat in Sauraha, Nepal? By splashing around in the river with a bunch of elephants, of course! Join Autumn (FatGirlDoesTheWorld.com), Angie, and me as we go to the Elephant Breeding Center at Chitwan National Park for a fun-filled day of baby elephants, swimming elephants, elephant feeding, elephant surfing, elephants in the road, elephant bathing, naughty elephants, and even more elephants! It’s no surprise to me that one of my most popular articles on this site is this little love letter to Kraken rum. From the very first time the Kraken wrapped its tentacles around me in Hawaii, I’ve loved the unique flavor of this sweet dark rum. 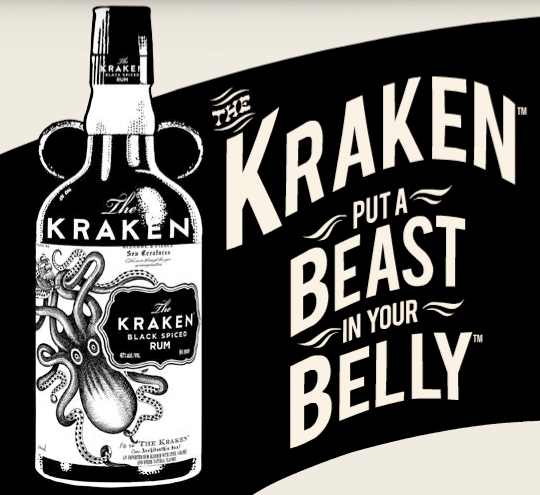 With its stylish logo and smooth marketing campaign, Kraken rum has apparently amassed quite a cult following. Tried it in St. Vincent with Sparrow’s Rum. Highly recommended! I make mine doubled, but toned it down for this. I’ve also sprinkled nutmeg on the top ocasionally. Note to self: Apparently there’s such thing as a local pirate festival! Kraken is great also with Crown Royal Black and Gentleman Jack, but I prefer it with the Crown Royal. Mix those with sprite, dr pepper, coke, or ginger ale. They are all tasty! Whitewater Rafting in Borneo from thescubageek on Vimeo. Thanks to Riverbug Rafting in Kota Kinabalu (www.riverbug.asia) for keeping us safe on this crazy adventure! And a big special thanks to Lucy at Lucy’s Backpacker’s Lodge (lucyhomestay.go-2.net) for hooking us up with this awesome tour, as well as for being our surrogate mother in Kota Kinabalu! Swimming with Sharks from thescubageek on Vimeo. Check out this sweet video of Autumn and me swimming with reef sharks around the jetty at Wayag Island, Raja Ampat, Indonesia. The sharks, which ranged from 2-3m/5-8ft and lived around this jetty, seemed harmless enough to make risking a swim in the shallows worthwhile. Giant clams, pristine coral reefs, and TONS of sharks made this snorkeling adventure one of the highlights of our trip around Raja Ampat. Thanks to Deni at Raja Ampat Adventures (www.rajaampatadventures.com) for showing us this amazing spot! Jumping off a waterfall in Laos from thescubageek on Vimeo.